The Shades of Atlantis Blog book tour hosted by A tale of Many Reviews is in full swing. If you would like to catch up on the tour these are the posts so far. It's Autism Awareness Month. Saturday was World Autism Day and as part of that I shared my experience dealing with my son's diagnosis here. I feel it's important to talk about autism now more than ever, especially in Ireland where more and more children, teens and adults on the spectrum are getting less and less support. Finally, What better way to end Meet an Author Monday than to introduce a new author. 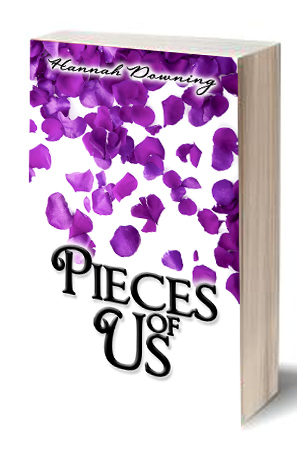 Congratulations to Hannah Downing on the release of her debut novel, pieces of us. 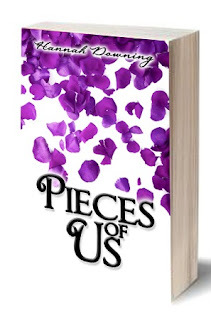 Pieces of Us will be on sale from 5th April 2011. Holy cow, you know Omnific is growing like crazy when a new release slipped right past me! Congratualtions, Hannah! Congrats Hannah. Always good to meet an new author. I like the cover. very imple yet effective. So good to see you everywhere! Congrats to Omnific's newest author! Thank you everyone for stopping by and your comments. Thank you Carol! And thank you everyone for your kind words. I'm so excited about the release of my debut novel! !